I believe everyone has a psychic story. I have one, and I'll bet you have one, to o.
I've been a pediatric medical professional for over twenty years, and have always been a deeply spiritual person. Being involved in animal rescue as well as therapy dog work, especially visiting hospice patients with our certified therapy dogs, kept me in close proximity to the important things in life: what we are meant to accomplish on our mission here on Earth. Seeing people during their last moments in life reflecting on the big things in their life -- their joys, their regrets, their families and loves, their desires and dreams -- has taught me much about how to live my own life. Life is precious, and understanding how our behavior patterns impact our actions can make very dramatic changes in our outcomes. When I became certified in Quantum Touch Healing and then later was attuned to Usui Reiki, I soon found myself on a deeply intuitive journey that was opened up to me through these healing energies. In the process of uncovering Tarot's ancient mysteries, I learned that Tarot is a powerful and wise voice where Spirit becomes immediately accessible t o us through our subconscious, leading us toward our best Self. Tarot is often misunderstood, and it can be used in even the most respected professional psychology sessions. Tarot really opened up my intuition and a whole new world (literally -- the other dimension) became available to me. I wish was part of every school's curriculum. We have so much to learn about Self from it. Tarot and Lenormand are my passions. As much as I love reading the cards, though, I am most inspired to teach others to read for themselves. And there my life journey has taken me to some remarkable people and places. 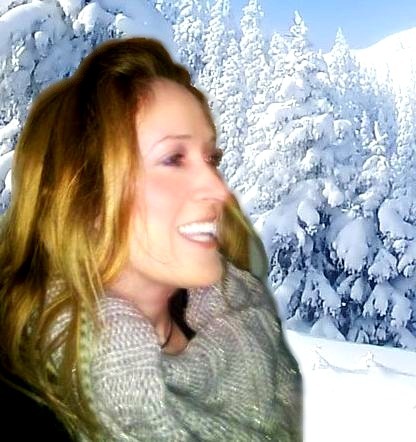 I am a Certified Professional Tarot Reader (CPTR) through the Tarot Certification Board of America. I have studied under Certified Tarot Grand Masters at The Tarot School (located in NYC), as well as with The American Tarot Association (ATA). I have also enjoyed writing as a contributor to Tarosophy International Magazine, the American Tarot Association's Quarterly Journal, as well as the ATA's Tarot Reflections Newsletter. I've contributed to several accompanying manuals to cards created by famed deck creator, Ciro Marchetti. And I am excited to be working on a Lenormand how-to book that will be published through U.S. Games, Inc.
For many years I volunteered as an Experienced Reader on the ATA's Free Tarot Network and a Senior Reader on the ATA's Free Reading Network. I also provided mentorship to adult tarot students learning the ancient art of Tarot. I love watching people experience Tarot for the first time as a reader and I share their excitement. Readers Studio 2011, Breakfast discussion. Main presenter at the Confraria Brasileira de Tarot conference (Brazil Tarot Conference), 2013. 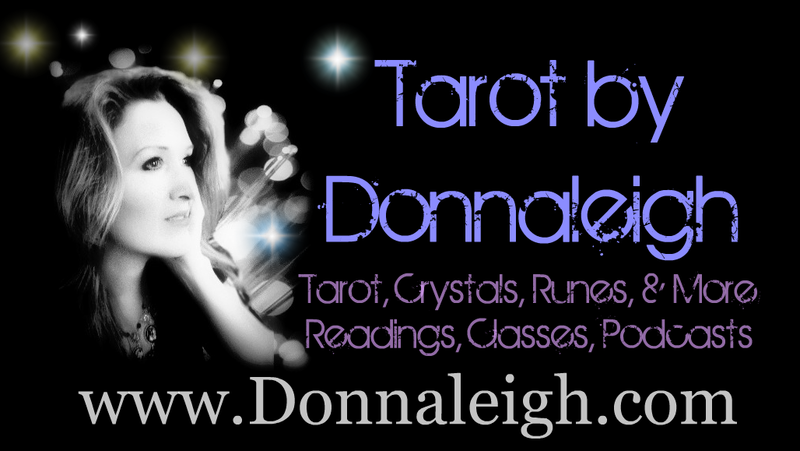 I've given many live classes and workshops on how to read tarot and the Lenormand. I have a very strong code of ethics which you can view here, and I constantly expanding the breadth of my Tarot knowledge though study and experience.Tarot is not something to be learned in a day, a week, a month, or even a year. Tarot is a lifetime of experiential learning and wisdom. 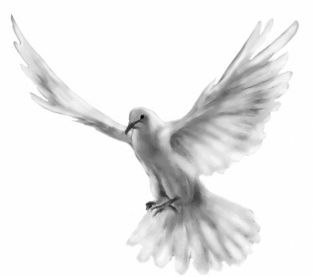 I have had two Reiki Attunements and I am certified in Quantum Touch Healing. 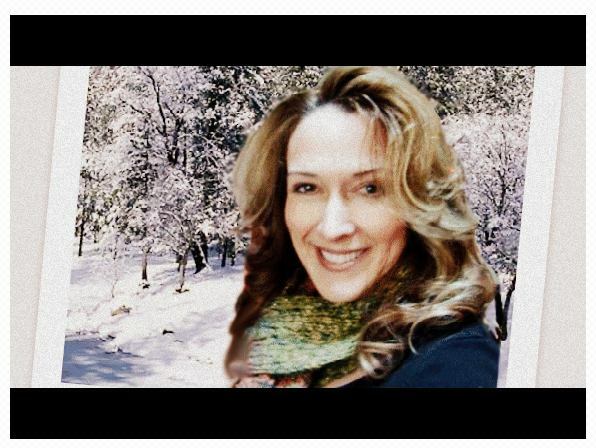 I am likely best known for the work I do on the award-winning Tarot Tribe (Beyond Worlds) Radio Podcast at www.TarotTribe.com. If you'd like to learn tarot or Lenormand, or if you already read the cards and want to become an even better reader or use systems you've not yet tried, we work with the world's premiere tarot leaders to make tarot accessible to you and to the world. It's completely free, and we focus on quality tarot education and a community for serious readers. I co-host with several dynamic and well-known tarot readers, and we each read tarot a little differently (but with much overlap). 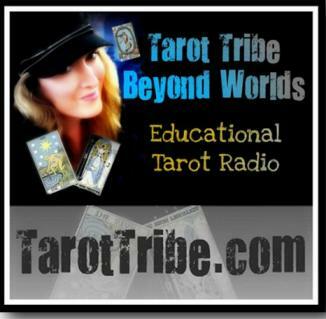 Listeners can hear great tarot variety while finding new systems to add to their on reading style. View all the shows we've done to date HERE. We are fortunate that our tarot podcast consistently turns up in "the best of tarot" each year. Come learn with us! Unrelated to my psychic work, I do full-time work in a pediatric medical profession for which I have an advanced college degree. This occupation is something else I feel very passionate about and know I am meant to be doing. We learn so much through children. We owe them the best lives we can give them. 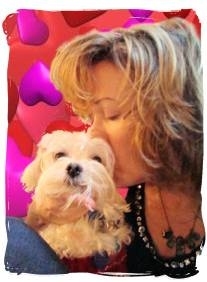 I am a devoted mom and have been involved in animal rescue. 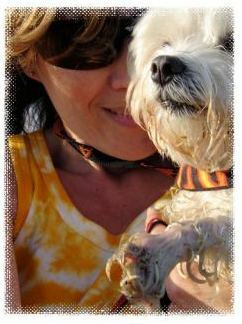 My late dog, Gizz, my little furry kindred spirit, is a dog I've spent many lifetimes with. Until I was reconnected with him, I was on a search for something without an answer. When I found him, I was home again. Gizz was born with 3 legs, and one of his remaining front legs is deformed. He is an ambassador for "Better-than-Perfect" dogs, and has volunteered as a certified therapy dog in hospice and for group homes. He is my hero. 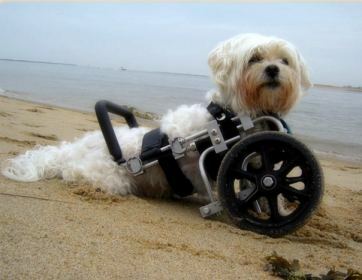 He has no idea he has limitations, he just GOES! Isn't this a lesson for all of us? Another piece of useless trivia about me: twenty years ago I memorized more than 300 bird songs and bird calls of Northeastern wild birds and I can identify wild birds quickly, completely by ear. Not only has this assisted the Audubon Society for fund-raisers, it has also deeply enhanced my connection with Mother Earth and with the voice of The Creator. I am always connected with what surrounds me. I find it amusing to go birding (bird watching) with friends and watch them trying to figure out what is flitting above the leaves with their binoculars fixated in an "up" position. Because when the bird lets out one chirp, the gig is up. I know the genus of the bird. Is that psychic? No. But it sure is a ton of fun! However, it also shows that when something is right in front of us and all the signs are there...often we don't stop to hear the obvious. So much passes us every day that is right before us. And that is where it ties in with my intuitive world. We all have a sixth sense, but we tend to push it aside. I finally just decided to listen. May you hear it, too. May you become all that you were meant to be. "Donnaleigh, I read your article in the latest ATA Journal and thought it was wonderful. What an amazing experience and so well told. It's one of the best articles that I've read in a long time. I couldn't stop reading and was so impressed by the compassion and insight you showed." 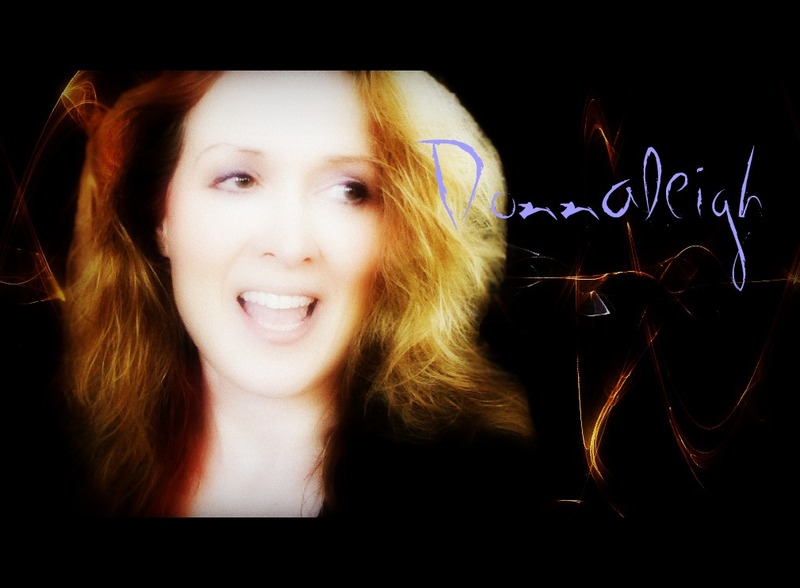 And my YouTube Channel is HERE.